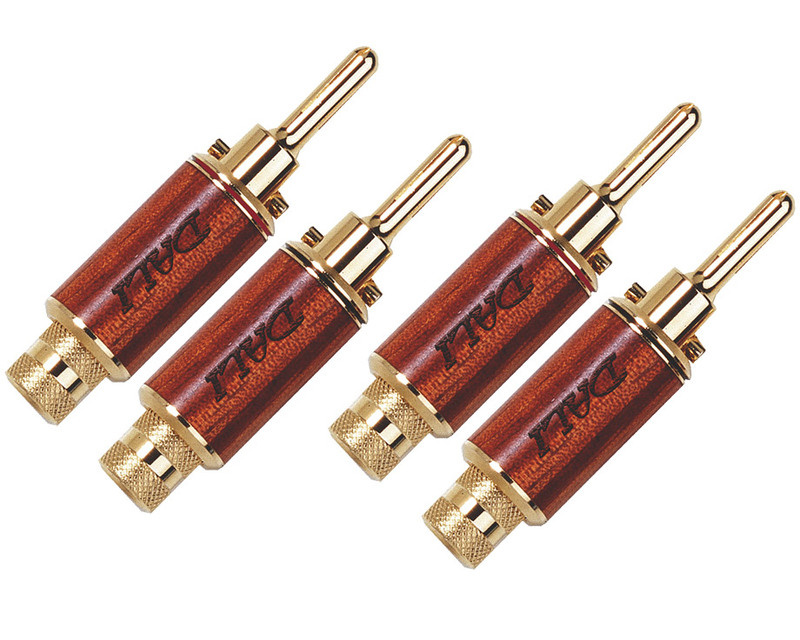 High-performance gold-plated banana terminators with distinctive woodgrain casing. Two restraining screws accept cables with a cross section up to 7 mm² for solid-core cables and up to 15 mm² for multi-core cables and the expanding centre pin ensures a long-lasting, tight connection. 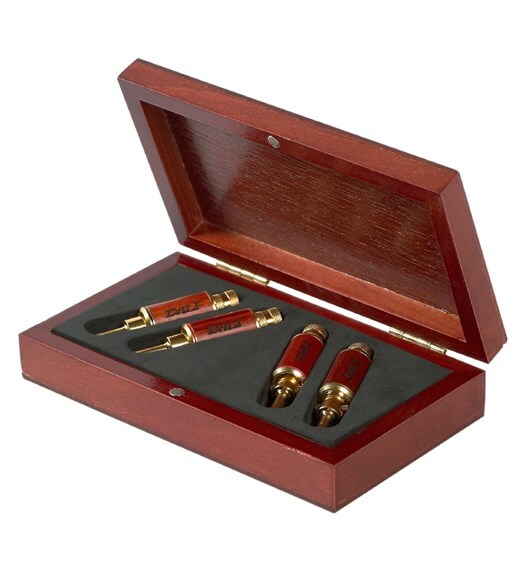 These DALI Banana plugs are available in a stylish presentation box, or in a simple bag. 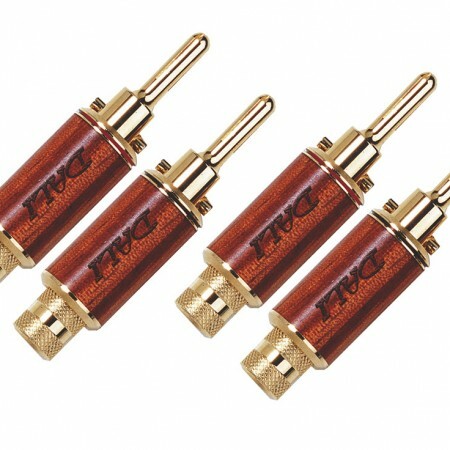 High-performance gold-plated DALI banana plugs with distinctive and stylish woodgrain casing. Two restraining screws accept cables with a cross section up to 7 mm² for solid-core cables and up to 15 mm² for multi-core cables and the expanding centre pin ensures a long-lasting, tight connection.